radio astronomer, open science champion, her+data mcr organiser, tech future female leader. 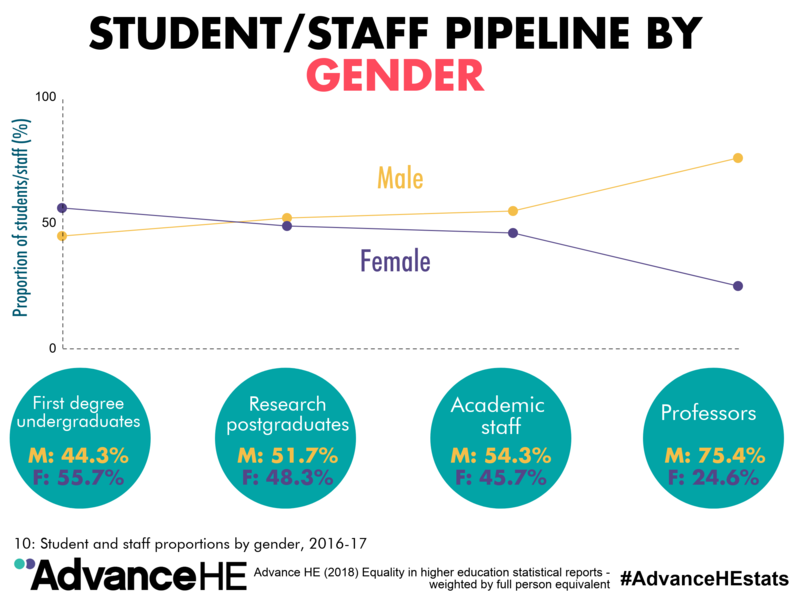 The leaky pipeline - where fewer women are found at increasingly senior levels of academia - is a well known problem; I only have to look around the department I work in at the University of Manchester to witness it first-hand. 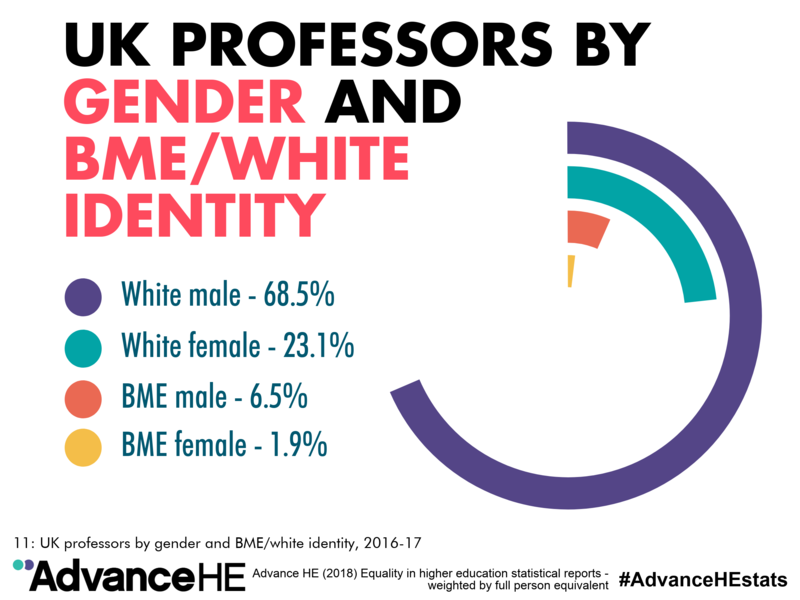 During the 2016-17 academic year, the majority of first degree undergraduate students in the UK were female at 55.7%, whereas the percentage of professors who were female was only 24.6%. The statistics are significantly more discouraging for non-white academics. Tech similarly suffers from a leaky pipeline; PwC reported that only 5% of leadership positions in the technology sector are held by women. Over a quarter of female students say they’ve been put off a career in technology as it’s too male dominated - the lack of female role models reinforces the perception that it isn’t for them. I’ve been to countless academic and tech events that were dominated by male speaking panels and organising committees (and audience members as a result). 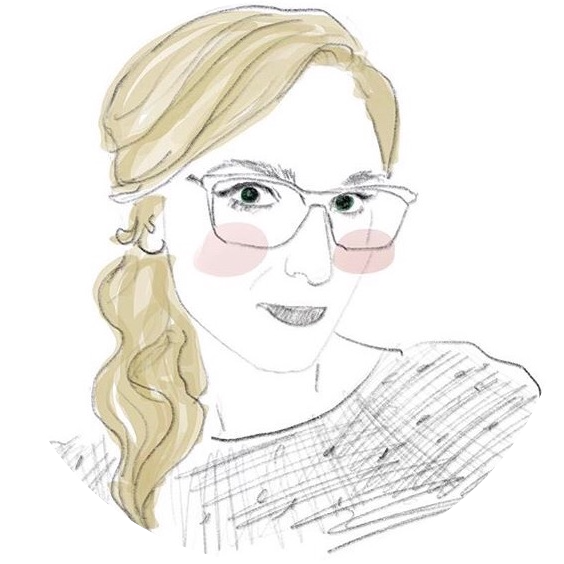 As a woman in STEM, I find these atmospheres to be quite suffocating, I struggle to network and I lack the confidence to promote my work. It is therefore not surprising to me that women would avoid this type of working environment. There are many factors proposed to explain the attrition of women in STEM: the perception of innate differences in ability (that infamous Google memo); differences in the career preferences of men and women; the assessment of women’s CVs for hiring and promotion; the gender pay gap for equivalent positions; parenting; imposter syndrome; and lack of appropriate role models and mentors for women. However, academia systematically pushes women out by failing to provide institutional and individual support and inclusion of women, resulting in the leaky pipeline. The “publish or perish” model and the culture that results from such an incentive system are major factors in the lack of diversity in academia. I immediately got in touch with Beckie as the programme aims really resonated with me - building confidence in particular - and are increasingly important across STEM fields for attracting, retaining and promoting diverse talent. In my role as a Research Associate at the Jodrell Bank Centre for Astrophysics, University of Manchester, professional development through TFFL would help me improve in areas such as science communication, leading and working within collaborations as well as adapting academic teams to function more like those in tech (e.g. agile). Also, as the organiser for HER+Data MCR, a women in data meetup group in Manchester, I find that I am a representative for women in tech without technically being in tech. I therefore applied to join the first cohort of TFFL to develop professionally so that I could succeed within science and technology and become a role model to inspire others. 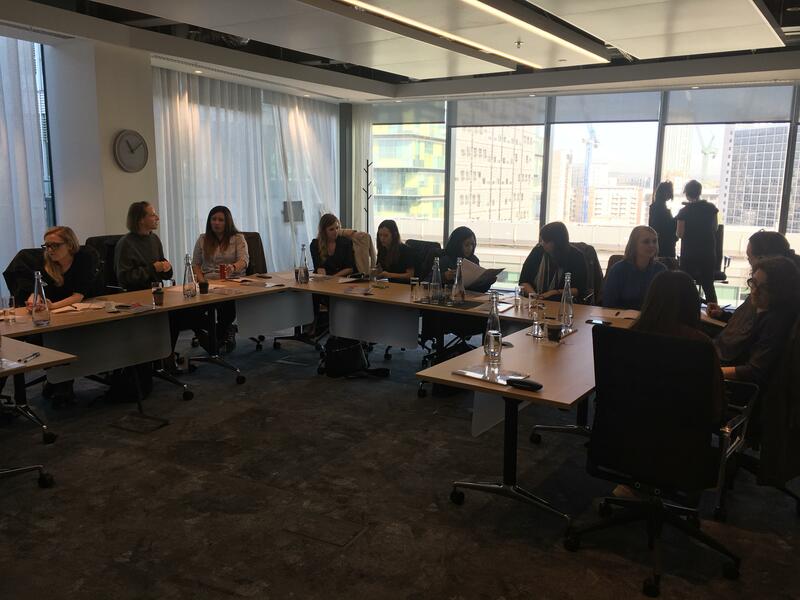 The first workshop kicked off on September 25 in the PwC offices at No.1 Spinningfields with the first cohort comprising of 12 incredible women from across tech including developers, managers, Heads of Delivery/Web/Technology, CTOs, and one academic - me. The theme was “Your Journey”, with a focus on self-awareness, your values, and defining success. We were presented with our personalised Lumina Spark portraits and a workbook to help us identify our strengths and how we can use and adapt these in our communication and in different environments. 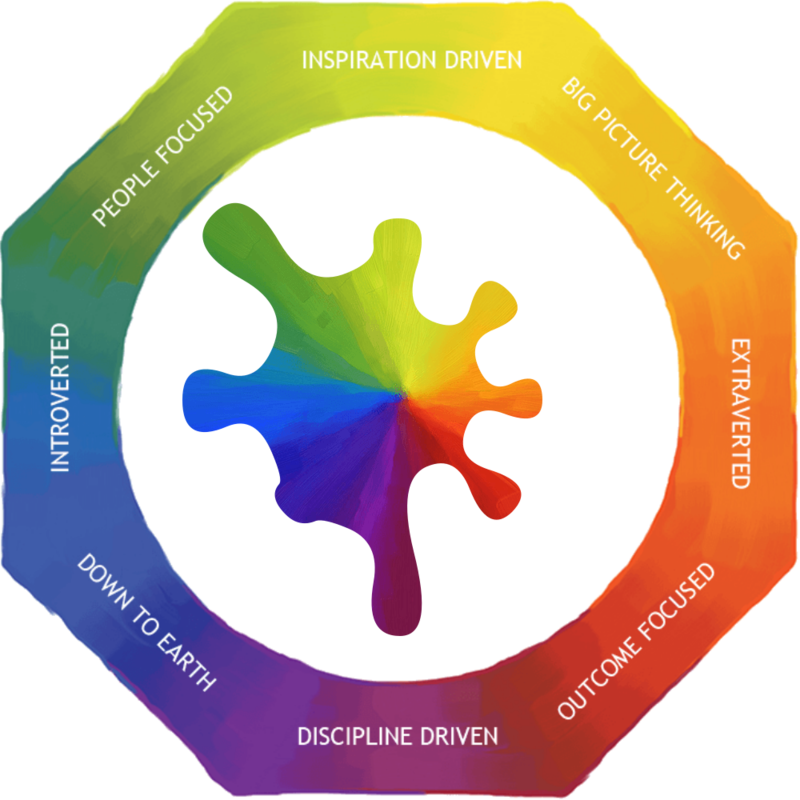 Normally I would be skeptical about a personality test, but I found the portrait to be really helpful in shifting my mindset to focus on what I can bring to the table based on my strengths instead of dwelling on my weaknesses and comparing myself to others (hello imposter syndrome!). It was also instructive on how to work and communicate with different personas, and the value of this kind of diversity on a team. Crucially, we examined how our behaviour changes when we are overextended or under pressure, and how to best work through that type of situation based on our personas. My Lumina Splash, a visual representation of my personality calculated using my Lumina Spark aspect scores: Rachael will often try and accommodate the needs of others, even if this means that Rachael needs to make sacrifices. However, this is tempered by a logical assessment of each situation so that Rachael can avoid feeling exploited. The second workshop on “Building Confidence” was therefore the one I was most looking forward to. 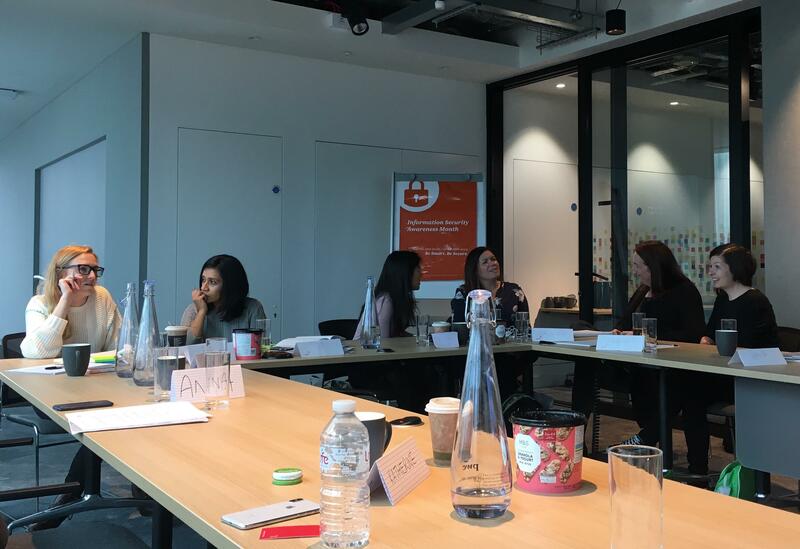 Victoria Masso, Director of Behaviour Hackers led this session on defining impostor syndrome, recognising it, and learning how to manage and grow your professional and personal confidence. We identified our self-limiting patterns, what situations are most likely to trigger imposter syndrome, how we currently respond to these feelings and developed a strategy for developing a new confident, non-imposter self. One of the most empowering exercises of the session was building a list of our achievements without qualifiers - what we accomplished without the “but”. Sounds simple, but as women we tend to downplay our accomplishments so as not to appear boastful. For example, “I interned at NASA… but I had to take a semester out of university to do it.” → “I interned at NASA.” Full stop. Unless you are following with “I am a badass”. Acknowledging and celebrating your achievements along with your daily “little wins” is one simple way to start building confidence. “Personal Brand” was the theme of the third workshop, and Penny Haslam coached us on how to “Make yourself a little bit famous” and gain exposure for our expertise in order to become a role model in the industry. She gave us practical advice on how to structure our points for most effective communication through the FACE method and tips for cultivating your brand on social media. She also coached us through a practical panel session, which was extremely useful as we learned how to prepare, chair and participate on a panel as well as how to keep an audience engaged. 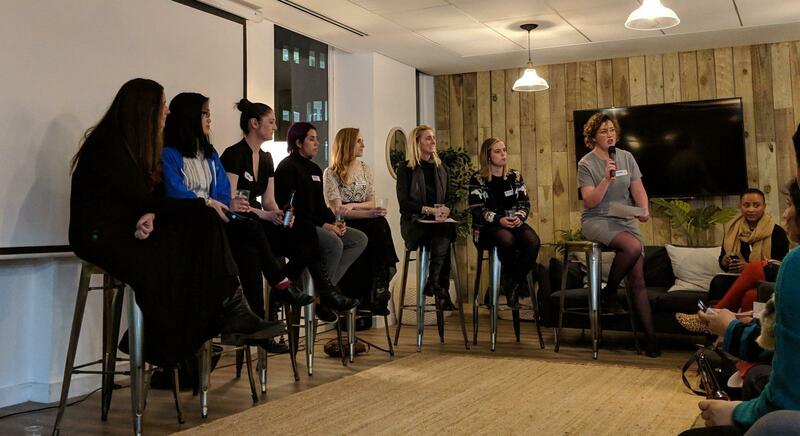 I was able to put these lessons learned to the test the following week as I was invited to be on the panel at the Women In Tech Christmas Bonanza where we discussed the topic Are we in an Echo Chamber? Our thoughts on female based events and encouraging friends and allies. Thanks to this TFFL session, I felt confident going into the panel and thoroughly enjoyed the discussion. I have also been invited to be on the Research and Scholarly Publishing Forum panel at the London Book Fair in March 2019! The theme of the final session was “Technical Leadership” where James Heggs of CLOS Consultancy presented on exploring technical processes, how to effectively communicate with teams/stakeholders and work effectively as a technical team. We discussed the challenges and benefits to microservices vs monolithic architectures and how to understand their impact within your organisation. We also talked about considering non-functional requirements (e.g. reproducibility, accessibility, interoperability) in technical leadership. I couldn’t help but ponder the contrasts between academia and “tech” through these discussions - how much more efficient research could be if academia operated in this way and how it can’t function without reproducibility. The course ended by recapping our achievements, goal setting for the future, and a celebratory drink at the Alchemist! 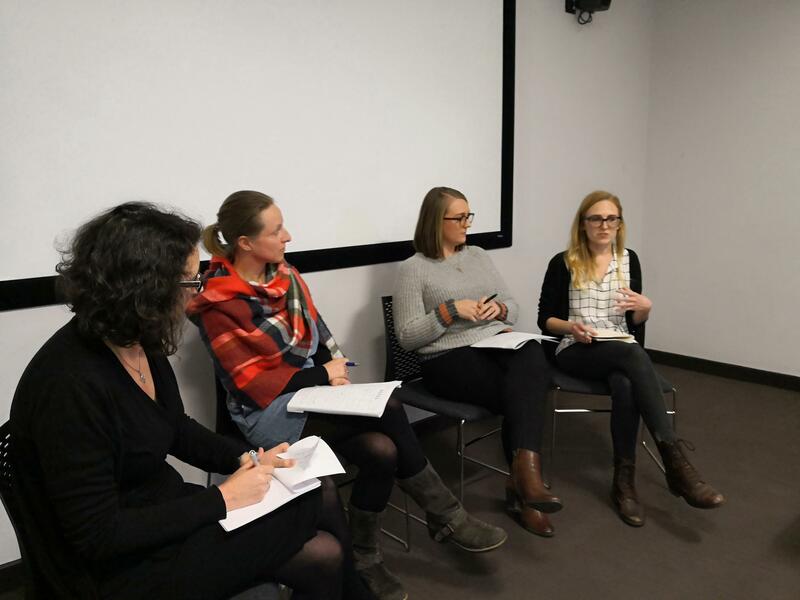 Through the TFFL programme I have been able to identify my own natural strengths and how to adapt these within my role as a Research Associate at the University of Manchester. For example, I knew I was passionate about openness and inclusion in research, but learning how my people focused strengths can positively benefit a team has been incredibly empowering - it helps me see where I fit within the team and reduces imposter syndrome. I’ve also learned a lot about building my personal brand and developing my voice around my expertise, in particular around advocating open research practices and empowering women in STEM. 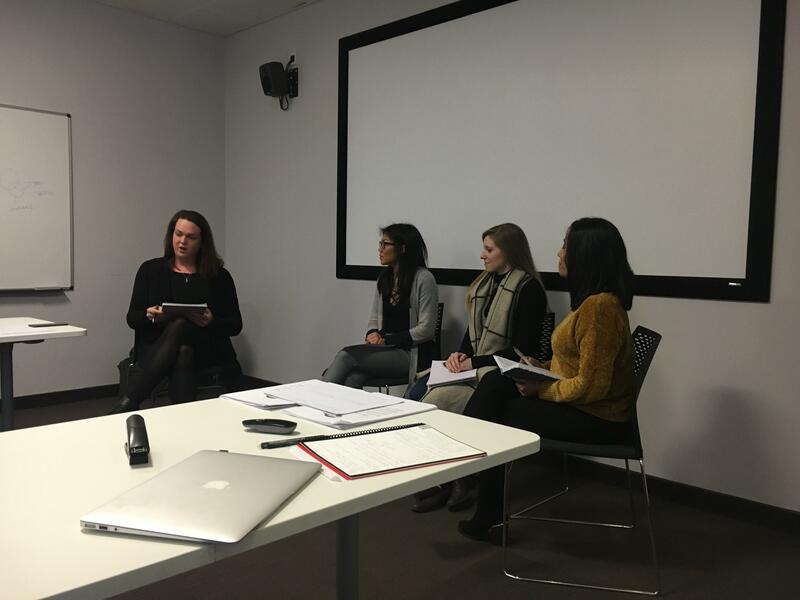 That this professional development course was conducted external to the University added value, as the diversity of topics covered and perspectives of the women within the cohort are ultimately what made this programme so engaging and successful. I am now able to bring this development back into academia, apply it to my current projects and build my future teams with a fresh approach. I have gained confidence within the workplace, increased exposure for my expertise, received invitations to speak at various events, and have built a support network across Greater Manchester. Applications are now open for cohort 2 starting in early 2019, so please get in touch with Beckie if you would like to get on board or feel free to comment below/tweet at me with any questions!